Big Bend National Park-Southwest Texas. Balanced Rock is in Grapevine Hills at the end of a flat trail, and a short hike up the mountainside in Big Bend National Park in Texas. 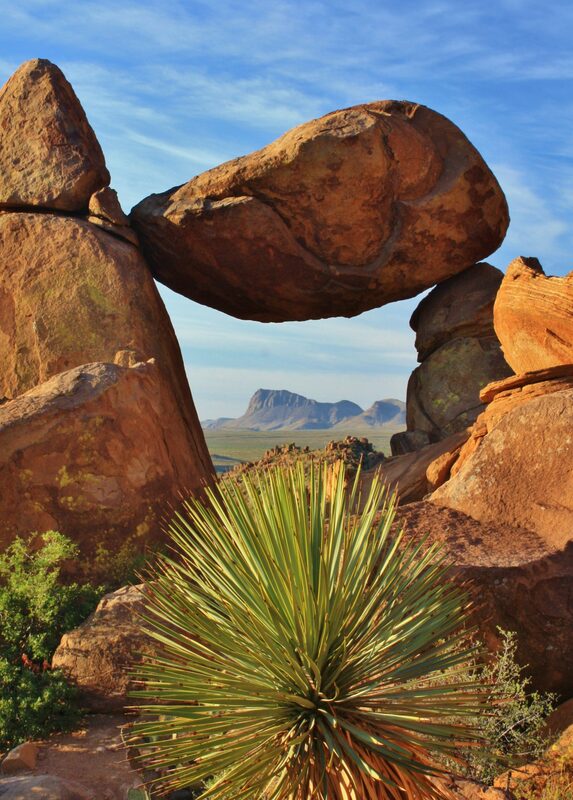 "Balanced Rock" is a natural portal that reveals Nugent Peak through the window. This rock formation is best to photograph at sunrise which gives the east facing mountainside a warmer glow. ISO 100, f/16, 1/6 sec. on a tripod.